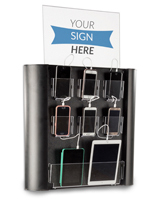 Employees may be an office's biggest asset, but without certain supplies staff won't be able to perform! 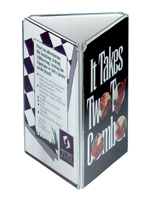 Therefore, it is always in an employer's best interest to keep their business stocked with the appropriate supplies and furnishings. 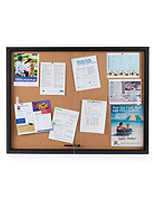 From furniture and workstations, to desk risers and organizers, to whiteboards and notice boards, choose from these essential office displays to keep your business running smoothly and your valued employees working happily and efficiently! 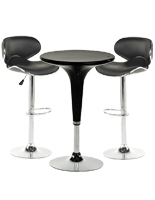 If you're looking for modern office furniture, then you've come to the right place! 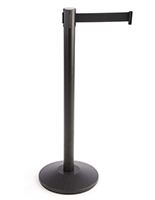 We stock a huge line of ergonomic workstations that allow employees to move from sitting to standing positions throughout the day, keeping them awake and energized - no coffee required! 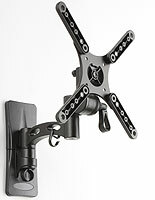 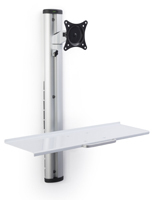 Adjustable monitor mounts that attach right to desks are always a popular choice. 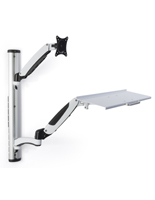 Plus, rolling workstations allow staff to take their work on the go and training room tables with flip tops are great space saving furnishings. 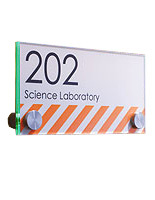 Take these office decorating ideas and run with them! 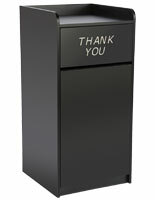 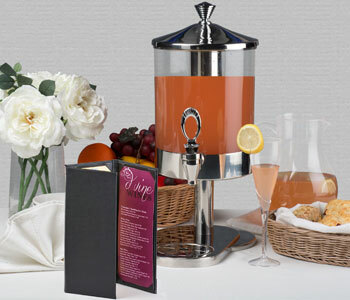 Your employees will thank you! 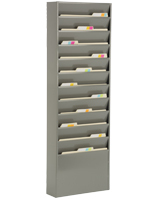 But besides the obvious, what are other office fixtures that keep a work environment running smoothly? 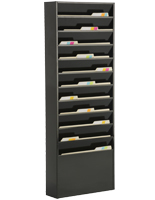 Office organization products like paper sorters, in/out boxes, desk risers, cubicle file hangers, and even notices boards are helpful supplies than one might not always consider. 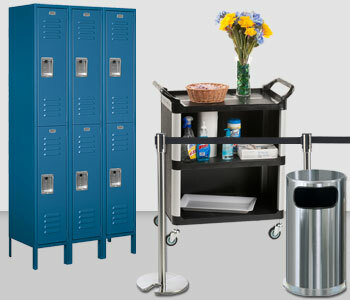 While desks and furniture may see the most individual workplace use, these other items are important when it comes to facilitating efficiency and teamwork. 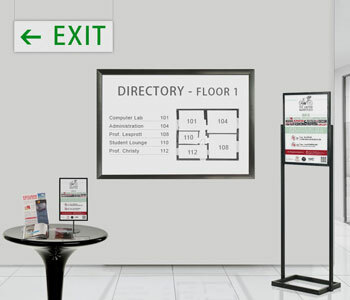 For example, office whiteboards are the perfect fixture for a conference room. 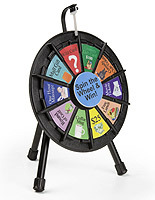 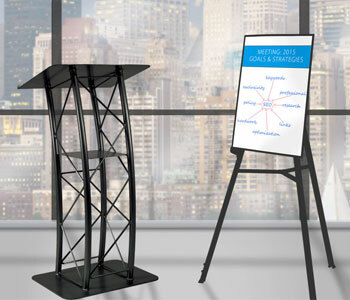 There, teams can use the dry erase surface to brainstorm or take notes during group meetings. 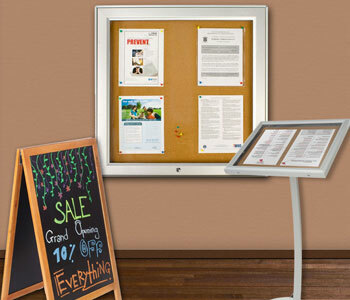 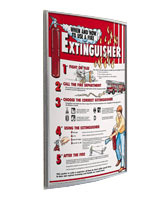 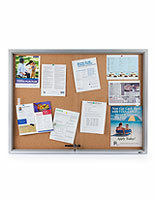 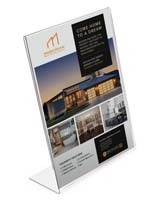 Office notice boards are ideal for other common areas, like lunch rooms or hallways, because they can hold company-wide memos or announcements. 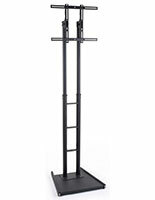 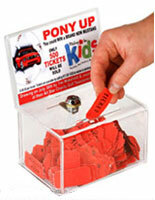 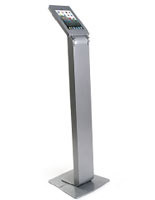 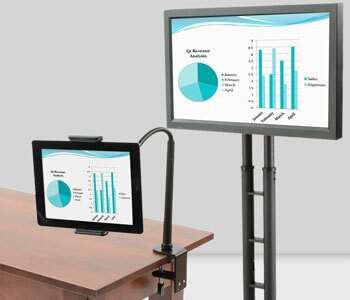 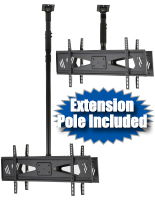 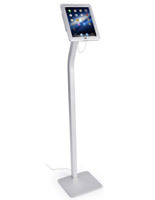 Also great for use in conference or breakout rooms are TV stands! 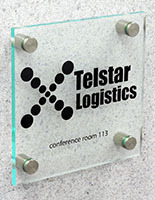 Teams can mount their computer screens to work communally on a project, or HR can use wall mounted versions to display motivational quotes through the facility. 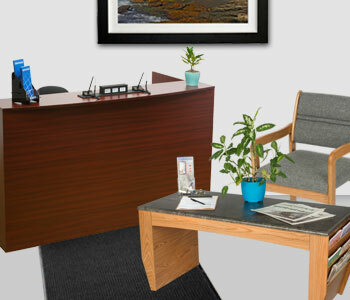 Many modern offices take full advantage of this interior design idea that is both functional and aesthetically pleasing. 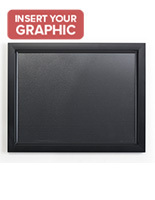 Don't have any important messages to display on the screen? 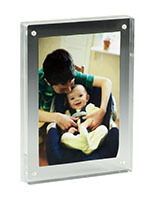 Try displaying static images of peaceful settings like green forest paths, or fields full of bright flowers. 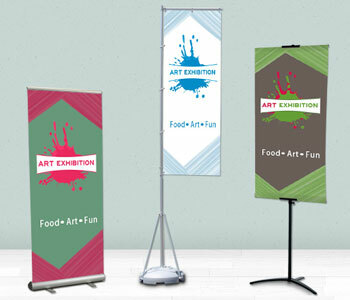 You're welcome for the great decorating idea! 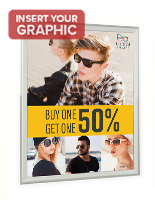 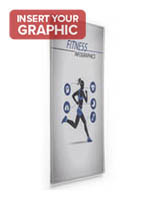 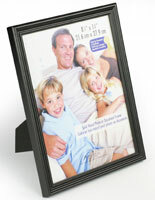 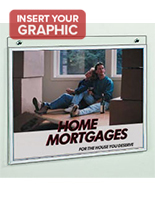 For lower-tech decorating and display items for your business, look to our humongous selection of wall signs and frames. 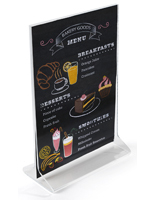 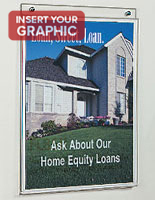 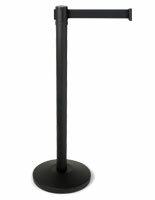 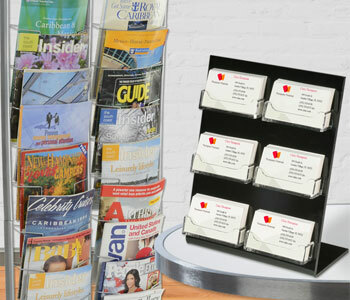 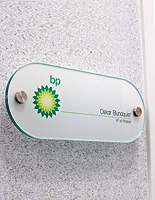 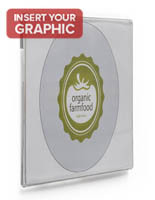 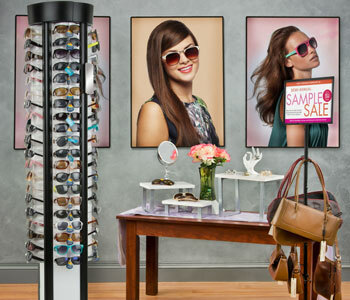 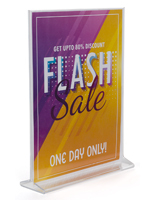 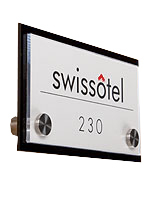 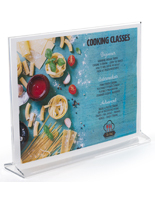 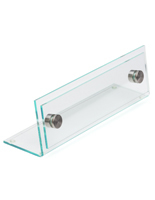 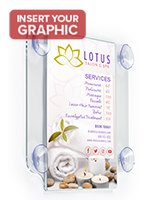 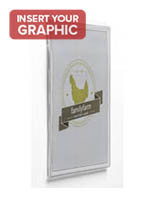 Our line of clear acrylic sign holders is most popular for use outside of office doors, but we also offer snap-open poster frames, floor standing sign holders, tabletop frames, and even digital signage. 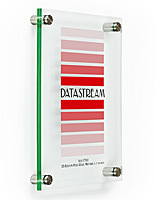 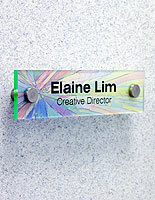 To add a more person touch to your desk or workspace, check out our name plates and business card holders! 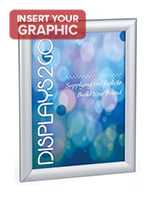 From furniture, to organizational products, to decorating ideas - Displays2go is your #1 source for office supplies and displays! 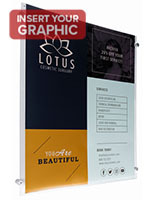 The majority of our products are in stock and ready to ship on any given day, and we pride ourselves on being able to ship orders within 24 hours of purchase! 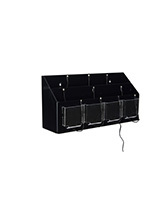 Don't see the item you're looking for on this page? 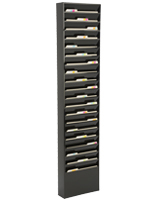 Just call our customer service team or use our live chat feature and someone would be happy to make a product suggestion.